• Bring attention to your service and contact information with these star shaped magnets. Outdoor safe and measuring 3.125 x 3 inches, there's plenty of space for your marketing message. 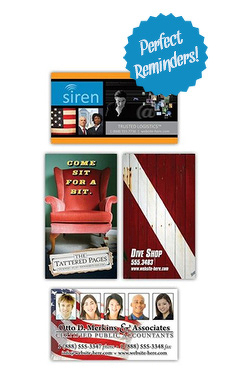 Magnets will keep your message in front of your clients long after other marketing material is thrown away. • TUFF MAG magnets are 23 mil thick and will work on autos and other metal surfaces such as refrigerators, vending machines, and appliances. Your message will remain visible and attractive. • Water repellent and fade resistant, these magnets are perfect for any service professional including child care professionals, real estate agents, schools, medical professionals, and many others.